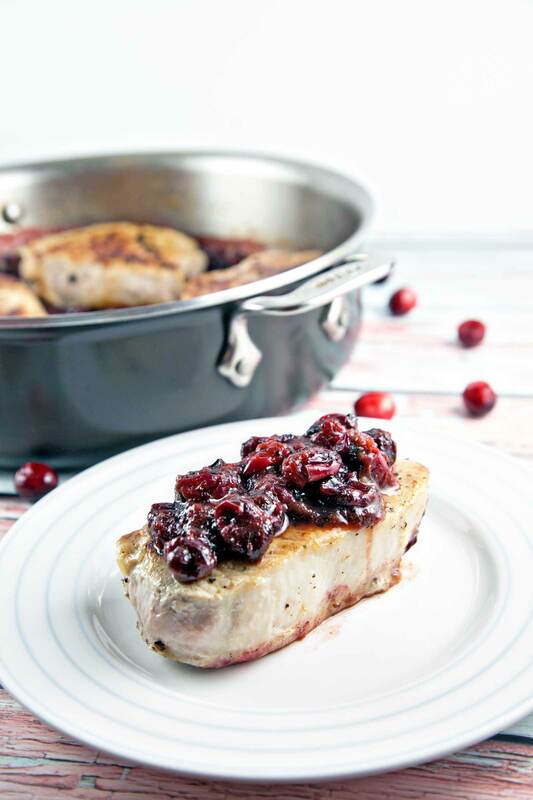 Perfectly seared cranberry maple pork chops and the most important tip to keep your pork chops juicy! 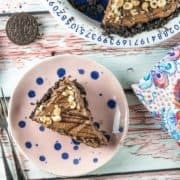 Gluten free and made in one pan in under 30 minutes! We’ve done pumpkin. We’ve done apples. Now it’s time to complete the fall food favorite trifecta with some cranberries. And in case cranberry isn’t fall-centric enough for you, we’ll throw in some maple glaze as well. Cranberry maple pork chops. Gluten free, made in one pan, in under 30 minutes. Need I say more? I probably don’t need to say anymore, but I’m going to anyway. I’ve waxed poetic about brining pork chops before, and I’m going to do it again. Brine! Your! Pork! Chops! Seriously, it is a game changer. Think pork chops are too tough and chewy? Think again, friends. I made these recently for my mother, who asked for my pork chop secret because the texture was so ideal. No secret here – it’s all about the brine. If I’m going to wax poetic about brining, let’s get down into the nitty gritty with my favorite subject. That’s right, it’s time for a little… kitchen chemistry! Brining solution is salty. Because the brine is saltier than the cells in the pork chop, the salt ions diffuse into the cells. Suddenly, the inside of the cells has a higher salt content than the outside. So how does this keep our meat from drying out? Because of osmosis (remember THAT from high school chemistry?)! In osmosis, solvent (in this case, water from the brine) moves from an area of low concentration to an area of high concentration. The salt is moving into the cells, and when it combines with all the other solutes in the cell (you know.. all the ions and things that are naturally in cells, like potassium, magnesium, and calcium), the concentration of solutes is much higher inside the cell than outside. So now the cells start to absorb the water from the brine and pull it into the cell. Phew! Did I lose you there? I hope not. Sorry, I’m a biochemist and a food blogger, so the intersection of science and food really excites me! But really, all you need to know is that brining = perfectly juicy pork chops. Yay, science! How do you brine pork chops? Easy! Make a salty solution, add any aromatics you might want, and set it aside in the refrigerator for a little while. Brine your chops for at least a few hours (overnight is best), pat ’em dry, and then pan sear them. Congrats; you’re halfway to a plate of cranberry maple pork chops! Now, let’s talk about this cranberry maple glaze, guys. We got a bunch of fresh cranberries from our CSA just when I was planning on making this again to photograph. Talk about perfect timing! We’ll cook the cranberries in some chicken broth, maple syrup, and mustard until they’re all nice and soft and juicy. Cranberries are naturally pretty tart, so maple syrup is the perfect complement, and something about pork and mustard just goes so well together. Once the cranberries are nice and soft, coat the pork chops in some of the cranberry liquid, then serve with the sauce. 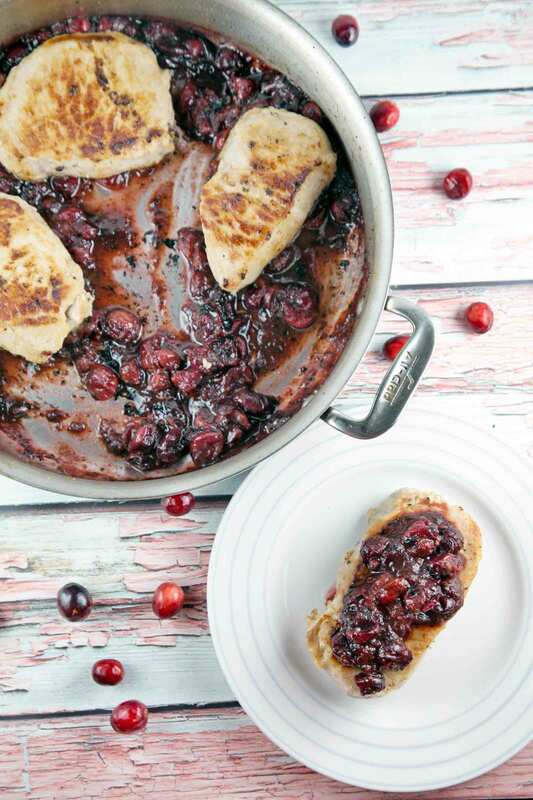 These perfectly in-season, fall festive cranberry maple pork chops are on the table in under 30 minutes. You just can’t beat that, can you? 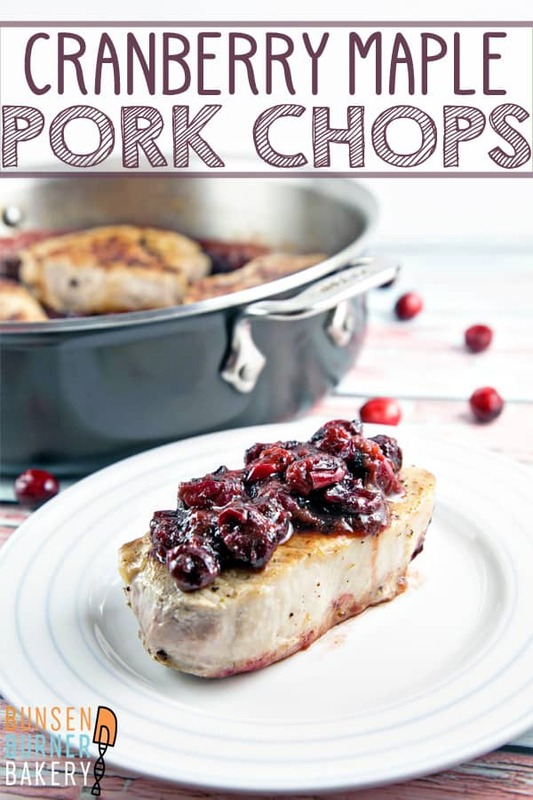 Love pork chops? Try these too! 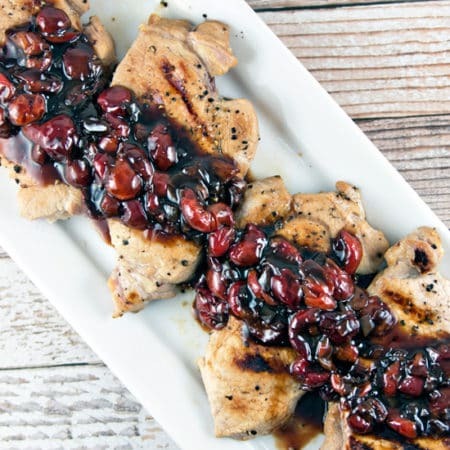 Perfectly seared cranberry maple pork chops. Gluten free, one pan, ready in under 30 minutes. Add the salt, molasses, and water to a large bowl, stirring until thoroughly mixed. Add in the rosemary sprigs and peppercorns, followed by the pork chops. Add more water as necessary to ensure the pork chops are submerged. Cover tightly and refrigerate several hours or overnight (recommended). Remove pork chops from the brine and pat dry. Heat the oil in a heavy skillet over medium heat. Add the pork chops and sear until pork is browned, 4 to 5 minutes. Flip the pork chops and continue to cook until the center reaches 140 °F, about 10 minutes. Transfer the pork chops to a plate or cutting board and tent loosely with foil. Add the cranberries, chicken broth, maple syrup, apple cider vinegar, and mustard to the skillet. Turn the heat up to medium-high and cook, whisking to combine and to deglaze the pan, until the cranberries are soft and the sauce has thickened, about 10 minutes. 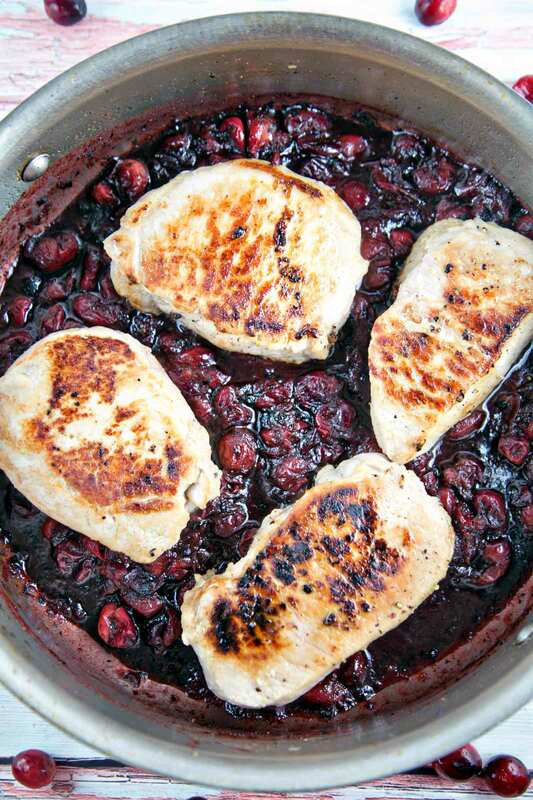 Return the pork chops and any juice to the skillet. Turn several times in the sauce to coat; then serve topped with cranberries. Cranberries aren’t just for Thanksgiving! Or turkey! This is a gorgeous recipe – I love the idea of tart, tangy cranberry complementing the juicy, unctuous meat. Yum! Thanks so much, and I totally agree – cranberries are so much more than cranberry sauce at Thanksgiving! that little hint of maple syrup is the perfect slight sweetening agent against the cranberries. Love this — and hello? Pork chops — you bet! Pork and cranberries make a natural couple. Adding the maple puts your recipe over the top. Delish. 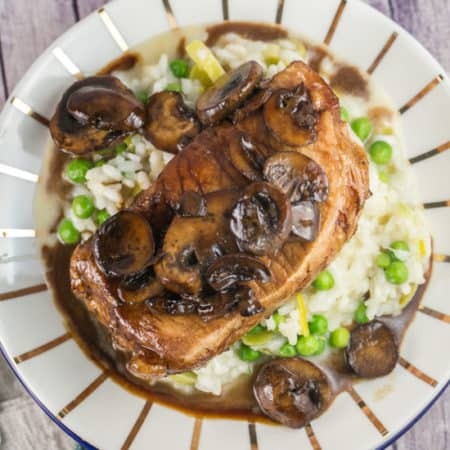 These pork chops looks so scrumptious! Can’t wait to try! Yes, give them a try with brining! I can’t think of any reason why you couldn’t use brown sugar – just scoop a little in there. When I brine, I really don’t measure the salt and molasses since the ratio isn’t really important. Give it a try and let me know what you think!! These Pork Chops are making me drool! The sweet and savory combinations are perfect with the pork. I am loving it. Can’t wait to make this recipe. I love the combination of the cranberries and pork. Will have to give this a try for sure! 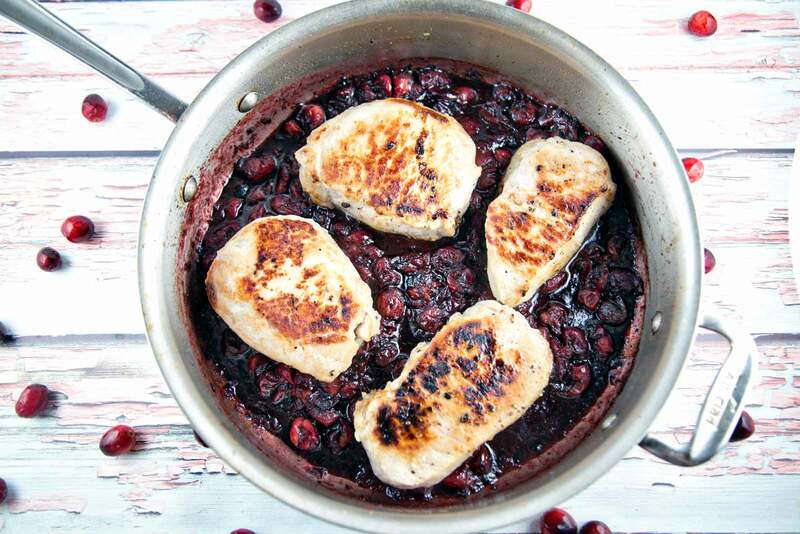 What a delicious looking & sounding dish for the cranberry harvest! 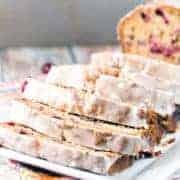 Living in New England means cranberries galore and this recipe is going to be a great way to use them!!! These look delicious. 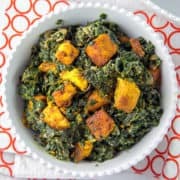 Great for a weeknight dinner, or to serve to guests. 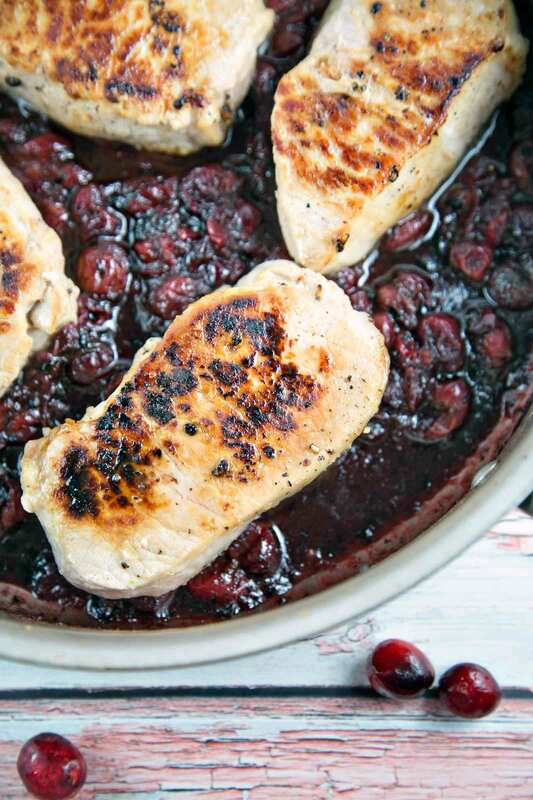 Pork and cranberries go so well together. Yumm!! What an incredibly delicious dinner! The use of cranberries just makes me so happy, and I hope I can find some in the store so I can enjoy this pork ASAP.